Tom was born in 1946 in Belfast. He spends time in Connemara each year, where he finds inspiration from the landscape and the people. 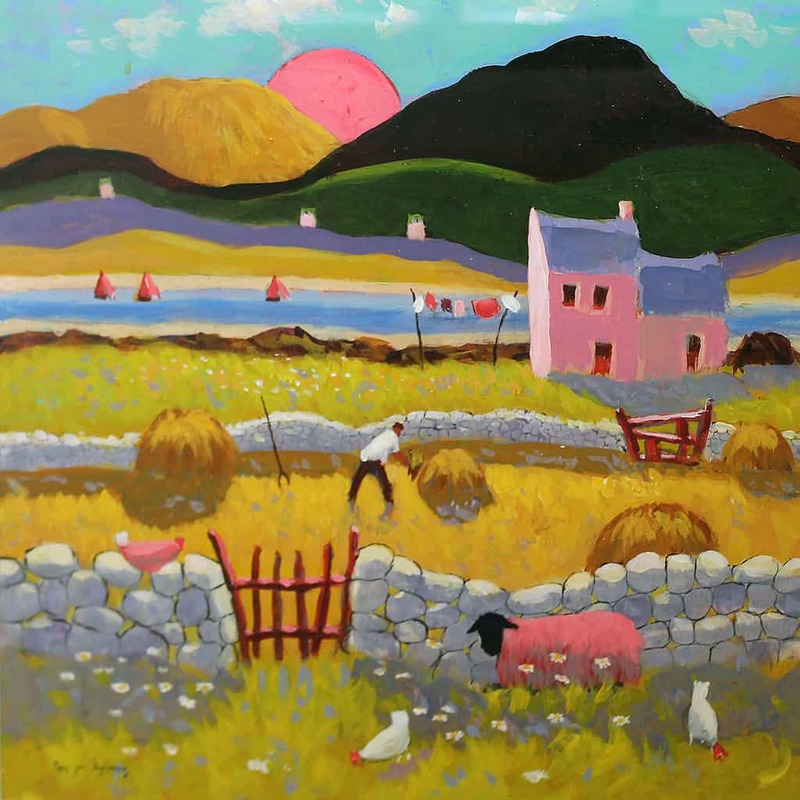 His work has evolved over the years into the lively, colourful and often humorous paintings that we see now.